Public transportation is a part of many consumers’ daily routine, serving as a convenient way to get from place to place. However, many consumers probably never considered the health implications of utilizing public transportation. Researchers from the University of Illinois at Urbana-Champaign and Georgia Tech recently conducted a study and found that when more people utilize public transportation, obesity rates are lowered. Most school-aged children would readily admit that their favorite part of the school day isn’t math, science, or English. Recess has always been a favorite for kids because it gives them a break from academics and allows them to expend pent-up energy in some playtime. Today's concern about rising childhood obesity is not the only time health officials and policymakers have fretted about the fitness of American youth. In the years following World War II, American young people were viewed as soft and out of shape. The official response was the President's Council on Youth and Fitness, established during the Eisenhower Administration. However, it wasn't until the Kennedy Administration that physical fitness was hammered into the American consciousness as a national goal. In late 1962, President Kennedy discovered an executive order from Theodore Roosevelt, early in the 20th century, challenging U.S. Marine officers to finish a 50-mile hike in 20 hours. 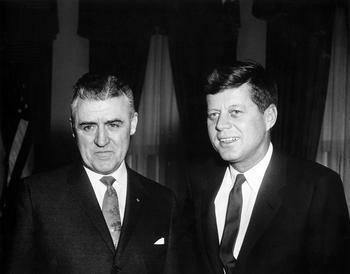 Kennedy sent the document to Commandant of the Marine Corps Gen. David Shoup, suggesting that Shoup bring it up as his own discovery and challenge modern day Marines to duplicate this feat. But he didn't stop there. The council developed and promoted a curriculum for schools to improve fitness. The council's fitness curriculum was devised with the cooperation of 19 U.S. educational and medical organizations and offered to schools. Very quickly, schools around the nation began providing regularly-scheduled physical education classes for students of all ages. Some children in the baby boom generation who were not particularly gifted athletically began to get regular exercise for the first time in their lives as part of their school activities. According to the John F. Kennedy library, the program produced a measurable improvement in fitness nationwide as well as a shift in public attitudes and wider participation. The work of the council also helped shape the American identity in the 1960s with fitness, vigor, and preparedness, coincidentally, goals of the Kennedy Administration's New Frontier. Over the following decades, however, physical education fell out of favor with school administrators. In 2011, the Centers for Disease Control and Prevention (CDC) reported only 29% of high school students surveyed had participated in at least 60 minutes per day of physical activity on all 7 days before the survey. It found that only 31% attended a physical education class daily. Despite the research showing the benefits of a physical education curriculum, the University of Michigan reports only 8.0% of elementary schools, 6.4% of middle schools, and 5.8% of high schools provide daily physical education to all of its students. 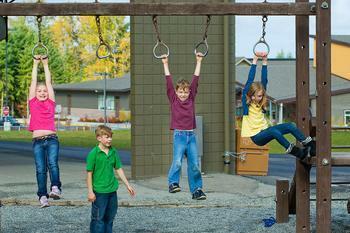 In addition, 20% of all elementary schools in the U.S. have abolished recess in favor of increased classroom time under pressure to improve student achievement. With schools under increasing pressure to raise academic test scores, school administrators and government policymakers have been quick to cut back physical education. First Lady Michelle Obama has led a private initiative to encourage young people to exercise, called "Let's Move," but it is not part of a regular school curriculum. 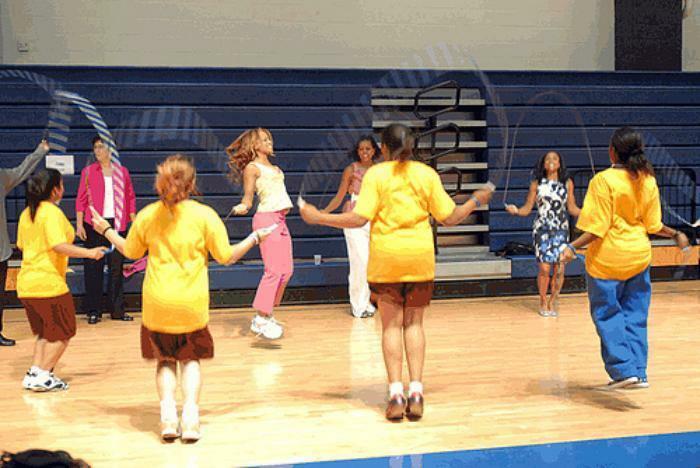 Michelle Obama jumps rope at 2010 event. White House photo. Only six states -- Illinois, Hawaii, Massachusetts, Mississippi, New York and Vermont -- require physical education in every grade, K-12. While 74.5% of states mandate physical education in elementary through high school, the National Association for Sport and Physical Education (NASPE), in a report in December 2012, found most still fail to require a specific amount of instructional time and nearly half allow exemptions, waivers and/or substitutions. "While other studies demonstrate the importance of quality physical education in helping students learn the necessary skills, knowledge and experiences they need to be physically active for a lifetime, the Shape of the Nation Report has been disclosing the inadequacies of physical education policies in this country since 1987," said NASPE President Mary Jo Sariscsany, associate professor, California State University, Northridge. "It is time to eliminate the loopholes. We urge parents to join our efforts to be more proactive and effective advocates for physical education to ensure that their children's schools and school districts are complying with required state physical education policies," she said. New research is adding to the pressure to bring physical education back to schools. A recent study by Cornell University researchers found that increasing the amount of time that elementary schoolchildren spent in gym class reduces the probability of obesity. The research serves as ammunition for the CDC, Institute of Medicine, and the American Academy of Pediatrics, all of which have called for restoring gym class to America's schools. The findings suggest an extra 60 minutes per week of PE time reduces the probability that a fifth-grader is obese by 4.8 percentage points. We're well aware of the problem. More than one-third of adults in the U.S. are obese, according to the Centers for Disease Control and Prevention(CDC). That leads to increased risk of heart disease, stroke, type 2 diabetes and even certain types of cancer. All of this carries a huge cost. 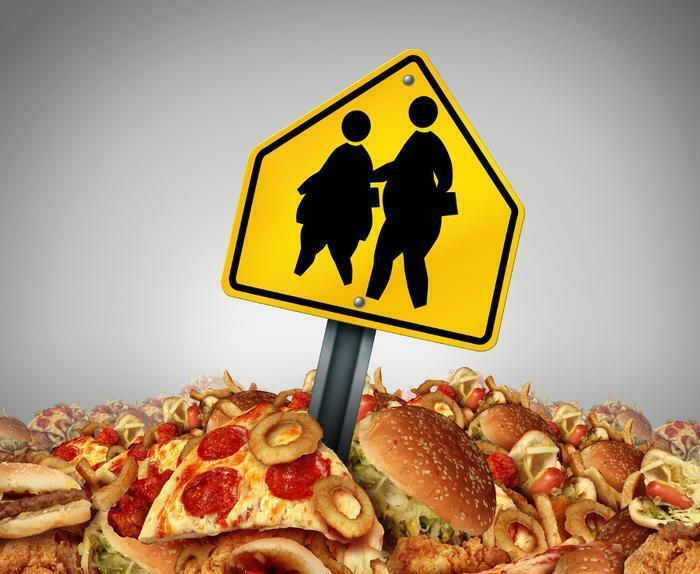 The CDC says the estimated annual medical cost of obesity in the U.S. was $147 billion in 2008 dollars. Put another way, if you are obese your medical costs are, on average, $1,492 higher than for people of normal weight. Reducing obesity requires access to good information, say researchers at the University of Alabama Birmingham (UAB). Allison and his team have identified what they contend are 9 myths about obesity. Losing weight quickly will predispose to greater weight regain relative to losing weight more slowly. Not so, according to Allison. There may be health reasons for slowly shedding pounds but worries about weight regain isn't one of them. Setting realistic weight loss goals in obesity treatment is important because otherwise patients will become frustrated and lose less weight. The UAB team says their research doesn't support that. Assessing “stage of change” or “readiness” to diet is important in helping patients who pursue weight loss treatment to lose weight. Physical education classes, as currently delivered, play an important role in reducing the prevalence of childhood obesity. Any organized physical activity should be viewed as a positive but good nutrition and an active lifestyle – with less screen time -- are much more important. Breastfeeding is protective against obesity in breastfed offspring. There may be many benefits of breastfeeding but Allison says links to reduced obesity are largely mythical. Daily self-weighing interferes with weight loss. Not really, says Allison. Genes have not contributed to the obesity epidemic. In fact, researchers have identified a gene they say promotes obesity. The freshman year of college is associated with or causes 15 pounds of weight gain. The “Freshman 15” was not coined by scientific researchers but by Seventeen Magazine. Instead of clinging to and perpetuating myths about obesity, the UAB researchers say health policymakers need to abandon them and move on. Amid concerns about childhood obesity, the food industry adopted voluntary standards for the food it advertises on television programs for children. The industry agreed to nutritional standards the advertised food should meet, setting limits on trans fat, saturated fat, sugar and sodium. So how does reality sync up with aspiration? Dale Kunkel, a communications professor at the University of Arizona in Tucson, organized a research project to monitor 103 kids' shows on 2 cable channels and 5 broadcast networks. The team said it found the industry has kept its promise, but still has a lot of room for improvement. "The long-standing pattern favoring nutritionally deficient food products over more-healthy items clearly persisted despite the advent of industry self-regulation,” Kunkel said. “This outcome occurred largely because participants in self-regulation achieved no significant improvement in the nutritional quality of their advertised foods between 2007 and 2013." The research team found that 80% of the food products advertised to children fall into what it calls the poorest nutritional category set by US Department of Health and Human Services (HHS) guidelines. So how can the food industry be keeping its promise but still be falling short? Kunkel says it has to do with the industry standards. In 2006 the industry formed the Children's Food and Beverage Advertising Initiative (CFBAI), the means for the nation's 17 largest food companies to set nutritional standards for child-targeted ads. However, it was left up to each participating company to set its own standards. For example, Kellogg pledged that all child-targeted advertising will contain a maximum per serving of 200 calories, 2 grams (g) saturated fat/0 g trans fat, 230 milligrams (mg) sodium, and 12 g added sugar. The study finds that CFBAI-participating companies have completely delivered on promises by advertising only products that meet nutritional guidelines agreed to by their parent corporations and have used licensed characters solely in advertising for products that comply with their parent corporations' guidelines for healthier products. In that regard, Kunkel says the industry has done everything it promised. His complaint is with the standards themselves. He says a number of companies have classified a product as healthy if only a small portion of an unhealthy ingredient has been removed from its formulation. When the researchers analyzed the products they found the food hit the companies' stated benchmarks but fell short of HHS nutritional standards. Companies that did not sign on to CFBAI standards, Kunkel says, tended to advertise the least-healthy food products. "Deficiency in the nutritional standards employed by industry self-regulation has already been recognized as a critical shortcoming," Kunkel said. The Association of National Advertisers takes strong exception to Kunkel's conclusions. A spokesman told Reuters that the nutritional standards the researchers are holding the food industry to “went way overboard,” claiming 87% of the most consumed food products in the U.S. wouldn't pass the test. "In the face of pleas for advertising reform, the food industry has achieved what might be labeled as baby steps," Kunkel said. But he says the takeaway from the study is the limits of self-regulation. Continuing to rely on self-regulation, he predicts, won't achieve the goal of reducing childhood obesity. Researchers say you could be teaching your child unhealthy eating habits. Forcing your kids to clean their plates at each meal increases their chances of becoming obese, say researchers at the University of Minnesota. Katie Loth and her team used two separate studies to learn more about the relationship between food and children. One study involved 2,800 kids from Minnesota public schools; the other was called Project F-Eat, which focused on the eating habits of teenagers. After examining both studies, researchers said they found a strong link between parents and their relationship with food, and how their children saw food. “We found that between 50% and 60% of parents from our sample reported requiring that their child eat all of the food on their plate at a meal,” said Loth in an interview with CNN. “Further, we found that between 30-40% of parents from within our sample reported encouraging their child to continue eating even after their child stated that they were full. In addition, Loth said that forcing a child to clean his plate could start an unhealthy relationship between that child and food, and instead of eating something because he's hungry or because it’s mealtime, a child could start eating for other reasons, which could lead to obesity. And placing food restrictions on your children isn’t the best approach either, researchers say, as it can make them want that particular food even more when they become adults. Teaching moderation instead of banning certain foods is a much better approach, said Loth, since at some point kids will have to learn how to live among items like salty snacks and desserts -- so it’s better to teach them coping skills from early on. Elaine Schulte, MD, of Cleveland Clinic Children’s Hospital, who didn’t participate in the study, believes parents have to do a complete about-face when it comes to their involvement with their kids eating habits, especially with older kids. “Parents are doing way too much in controlling the way kids eat,” said Schulte in an interview with MedPage Today. 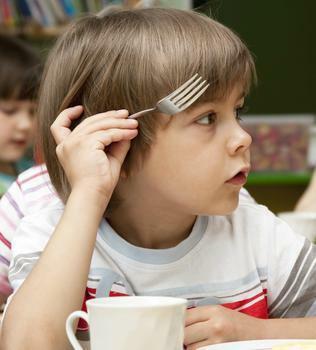 They “need to back down in terms of the way they are helping children figure out how to eat. “When you’re a teenager, you don’t want to be controlled; parents need to help regulate what their children put in their mouth, and it’s not by telling them what to eat," she said. Other studies have confirmed that telling kids what to eat has very little influence on what they’ll eat when they grow older. One group of researchers found that 72% of adults who were forced to eat a particular food as a child, stayed away from it when they got older. Experts say a better way for parents to teach their kids healthier eating is by being patient with them; many times a child will start liking healthier foods after they’ve tried it several times. Additionally, parents should eat the same foods as their child, as this should work much better than sticking a plate of broccoli in front of them while you’re away from the table. And it’s extremely important for parents to practice what they preach, say experts. If you’re eating pizza while making your child eat his vegetables, you’re sending the wrong message. Loth says it’s the parent’s responsibility to establish healthy eating habits and that these lessons should come through example, not force. Obesity is plaguing America’s children with a multitude of health problems -- now there’s a new risk to be added to the list: shorter life expectancy. For the first time in history, the next generation will not live longer, or even as long, as their parents. “Diseases such as Type II diabetes, high blood pressure, heart conditions and joint deterioration - what were once considered ‘adult’ diseases - are regularly being diagnosed in children, due to the prevalence of obesity,” said Jessica Bartfield, MD, internal medicine and medical weight-loss specialist at Gottlieb Memorial Hospital, part of the Loyola University Health System. Bartfield is also part of Gottlieb’s medically supervised weight-loss program involving physicians, nutritionists, exercise physiologists and behavioralists. “What is particularly tragic is that studies have suggested that obesity in children today may contribute to a 2-5 year decline in their life expectancy, shorter than that of their parents, due to obesity related diseases that are largely preventable,” said Bartfield. The causes for childhood obesity, she said, are “multifactorial, including environment and culture.” Genetics and parental weight status also plays a role. “If one parent is obese, a child has a 50 percent likelihood of being obese, and if both parents are obese, that skyrockets to 80 percent likelihood,” said Bartfield. Research by the Center for Disease Control found that 80 percent of obese children between the ages of 10 to 15 continue to be obese at age 25. Furthermore, the earlier obesity develops in children, the more severe it tends to be as an adult. “In addition to decreasing years of life, obesity decreases the quality of life through social ostracism, bullying, social isolation, and poor self-esteem which can lead to poor performance in school, in jobs and in life,” said Bartfield. 3. Add fresh fruits and vegetables. Bartfield recommends replacing applesauce for oil in baked goods, adding carrots, broccoli and kale to soups and omelets, and cutting up fresh fruit as a side dish -- even if it means including moderate amounts of low-calorie whipped topping or low-calorie salad dressing to make the fruit or vegetable more appealing. 5. Prioritize breakfast and keep meals consistent. According to Bartfield, eating within the first hour of waking up powers the brain and jump-starts the metabolism for the rest of the day and choosing protein and fiber in breakfast foods boosts endurance. Establish set meal times, and calories per meal, and stick to them, with defined healthy options for snacking. 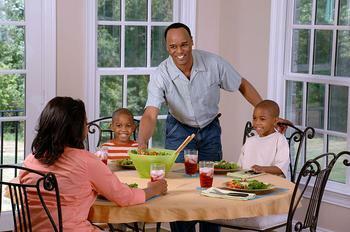 Another key to helping children lose weight is to have healthy expectations. “In overweight children with medical complications or obese children, strive for a one-pound individual weight loss per month,” said Bartfield, who uses guidelines by the American Academy of Pediatrics. Bartfield also encourages parents to focus on weight maintenance for overweight kids without medical complications since, as they grow in height, their Body Mass Index (BMI) will decrease on its own. Bartfield practices medicine in Chicago, a city whose youth population has increased in obesity. “Most recently, data from 2007 National Survey of Children’s Health found Illinois to have the 4th highest rate of child obesity in the nation -- 1 out of every 5 children is obese. In particular, our children entering schools in Chicago (age 3-7) have about double the rate of obesity as the national average of similar aged kids,” said Bartfield. The daily commute to work can often be the low point of many consumers’ day, but a new study suggests that taking advantage of certain modes of transportation can help fight obesity. Researchers from the University of Illinois have found that counties that rely more on their mass transit systems produce residents that have lower obesity rates. They say that putting more funds into these systems could promote better overall wellbeing. America still has a serious weight problem, but if there is a silver lining to the latest State of Obesity report, it's the obesity problem isn't getting much worse. 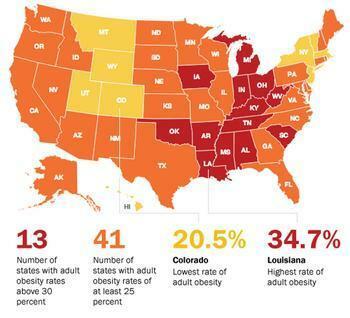 The annual report from the Trust for America's Health (TFAH) and the Robert Wood Johnson Foundation (RWJF) finds obesity rates increased in Kansas, Minnesota, New Mexico, Ohio and Utah but held mostly steady in the rest of the country. Am I overweight? Are you? Who can tell? Researchers at the University of Liverpool say most of us -- even healthcare professionals -- are unable to visually identify whether a person is a healthy weight, overweight or obese. The researchers asked participants to look at photographs of male models and categorize whether they were a healthy weight, overweight or obese according to World Health Organization (WHO) Body Mass Index (BMI) guidelines. 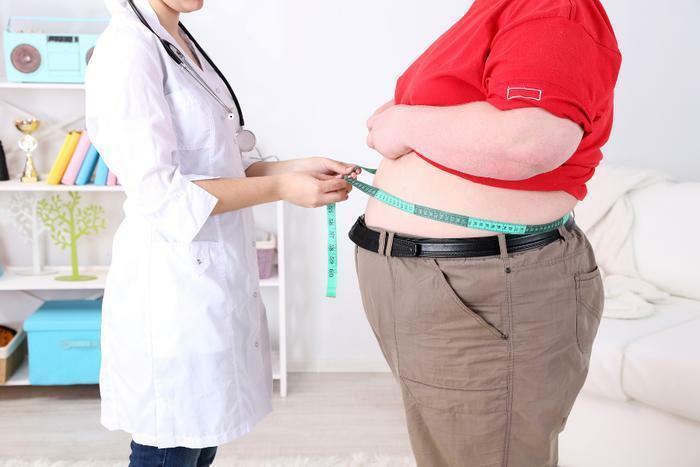 The Robert Wood Johnson Foundation and Trust for America's Health recently reported that the adult obesity problem in the U.S. is getting worse. A new study from the University of Michigan may explain why. Researchers studied the withdrawal symptoms people go through when they have been consuming large quantities of junk food on a regular basis, then suddenly stop or taper off. The withdrawal, they discovered, is very much like what drug addicts experience. As over 93 million adults and over 13 million children are affected by obesity in the United States, it’s important for consumers to be aware of the risks associated with the condition, while also working to make healthier choices. What's behind America's obesity problem? Except for Arkansas, no state saw an increase in obesity rates in the past year, according to the latest report from the Trust for America's Health (TFAH) and the Robert Wood Johnson Foundation (RWJF). But it's small consolation. Thirteen states now have adult obesity rates above 30%, 41 states have rates of at least 25%, and every state is above 20%. Three decades ago, in 1980, no state had an obesity rate above 15%. Two decades ago, in 1991, no state was above 20%. In fact, the trend appears to be climbing higher, faster. In 2007, just six years ago, only Mississippi was above 30%. The question is why. 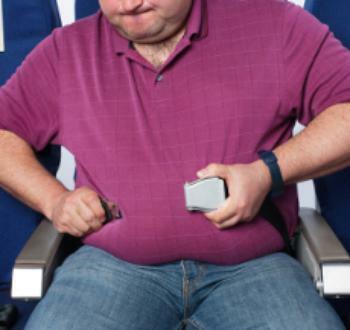 What is causing America – and indeed much of the world – to pack on the pounds? Is it something in the food? Too much food and not enough exercise? Or some combination of factors? A 2003 study (pdf file) by Harvard economists David M. Cutler, Edward L. Glaeser and Jesse M. Shapiro placed much of the blame on changes in the way we prepare and consume food. The new ways make it faster, easier and cheaper to prepare food and the results are not always healthier. They say the potato provides a good illustration. Then along came technology. 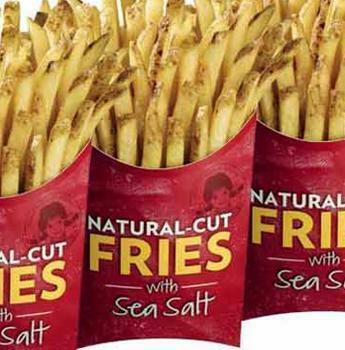 French fries are now typically peeled, cut and cooked in a few central locations using sophisticated new technologies. They are then frozen and shipped to restaurants and supermarkets. Today, the French fry is the dominant form of potato and America’s favorite vegetable. Now, let's compare the calories in a baked potato and French fries. A medium-sized baked potato has 129 calories before you add butter or sour cream. A medium order of McDonald's French fries contains around 380 calories. According to Cutler, Glasser and Shapiro total potato consumption increased by about 30% between 1977 and 1995, accounted for almost exclusively by increased consumption of potato chips and French fries. The bottom line, according to the economists, is the technological advances of modern life have made calories cheaper to buy and easier to prepare. Our self-control, they say, hasn't kept up with these advances. The National Institutes of Health (NIH) has cited the environment as a contributing factor that increases the obesity trend. Fewer jobs involve manual labor and more require sitting at desks. There are a lot more automobiles than there used to be and we spent a lot of time sitting in them. Then, there's Madison Avenue. And what about demographics? It's no secret that you tend to become heavier as you get older. Members of the huge Baby Boom generation, active, lean and trim in their 20s and 30s, are a lot less active in their 50s and 60s and account for a significant number of obese Americans. But it may be more than just numbers. A 2011 AP-Life Goes Strong poll found that higher percentage of Baby Boomers are obese than any other group in the U.S. While the poll showed that 36% of Baby Boomers were obese, only 25% of the generations directly above and below them were. For Boomers, the news is getting worse. While the AP-Life Goes Strong poll found 36% of Boomers were obese in 2011, this latest survey finds the percentage has climbed to 40% in just two years. "While stable rates of adult obesity may signal prevention efforts are starting to yield some results, the rates remain extremely high," said Jeffrey Levi, Ph.D., executive director of TFAH. "Even if the nation holds steady at the current rates, Baby Boomers—who are aging into obesity-related illnesses—and the rapidly rising numbers of extremely obese Americans are already translating into a cost crisis for the healthcare system and Medicare." The report makes a number of policy recommendations to reduce obesity. They include many that are already being implemented in some areas – serving only healthy food in schools, posting calorie information on restaurant menus and encouraging people to walk and bike, rather than ride in cars. 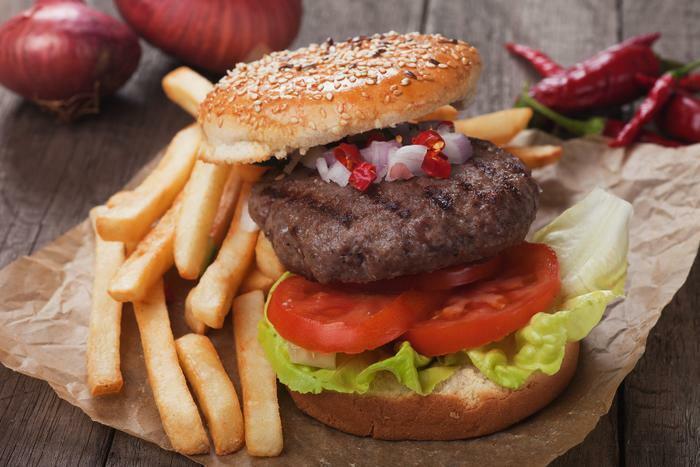 A U.S. Department of Agriculture (USDA) sponsored analysis of fast food over a 17-year period has some good news and some not-so-good news for consumers trying to stick to a healthy diet. While the overall trend in restaurants has been to increase portion size, as a way to compete for customers, fast food restaurants, for the most part, haven't taken part. Researchers at the USDA Human Nutrition Research Center on Aging at Tufts University found little change in fast food portion sizes and product formulation between 1996 and 2013. They also found that average calories, sodium, and saturated fat didn't change much, meaning they remain at pretty high levels. But they did observe a consistent drop in the trans fat found in French fries. In some ways, fast food restaurants are doing a better job than the rest of the restaurant industry. That said, some fast food chains are serving up healthier fare than others. And while most chains now have salads and wraps on their menu for health-conscious customers, that's not what tends to get ordered most. So the researchers looked at burgers and fries, particularly the items frequently sold together as a meal. Lichtenstein says these meals often push the limits of what we should be eating to maintain a healthy weight and sodium intake. "For example, among the three chains, calories in a large cheeseburger meal, with fries and a regular cola beverage, ranged from 1144 to 1757 over the years and among restaurants, representing 57% to 88% out of the approximately 2000 calories most people should eat per day," Lichtenstein said. "That does not leave much wiggle room for the rest of the day." Using the researchers' 2013 data, calorie content of the cheeseburger meal among the three chains represented 65% to 80% of a 2,000 calorie per day diet and sodium content represented 63% to 91% of the recommendation. Pay particular attention to sodium content. The U.S. Dietary Guidelines for Americans recommend adults limit their salt intake to a maximum of 2,300 milligrams per day. Depending on the chain, between 1996 and 2013, eating a single 4 ounce cheeseburger could have accounted for 1100 to 1450 mg of daily sodium representing 48% to 63% of target limits. The researchers focused on four popular menu items – cheeseburgers, fries, grilled chicken sandwiches and regular cola. Over the years there were only small fluctuations in calorie content and the amount of saturated fat and sodium found in these products. The notable exception was fries, which decreased first in saturated fat in 2001 and then trans fat, most likely due to changes in the fat used to cook them. "The decline in trans fat we saw between 2005 and 2009 appears to be related to legislative efforts," Lichtenstein said. "The success of New York City's trans fat ban and others like it, suggest it is worth pursuing these types of approaches because they make the default option the healthier option. Of course, it is important to note that the healthier option in terms of fat does not translate into lower calories or less salt." The researchers continue to see fast food restaurants as contributing to America's obesity epidemic and say the industry could help by downsizing portions and cutting back on fat and sodium. But they conclude on a note of optimism. "From what we hear some fast-food chains are heading in that direction and also introducing new healthier options,” Lichtenstein said. “If taken advantage of, these changes should help consumers adhere to the current dietary recommendations." In other words, consumers have to make the healthier choice. Eating at McDonald's does not have to result in consuming 1,500 calories in one sitting. McDonald's Southwest Salad with grilled chicken contains 290 calories – adding balsamic dressing only increases it to 325 calories.